Celebrating 100 years of truck heritage, Chevrolet today unveiled its new 2019 Silverado at Texas Motor Speedway. The key changes consist of rugged new styling and lightweight construction, updating the iconic truck yet again for the new year. And Chevy promises that it’s even better than ever. 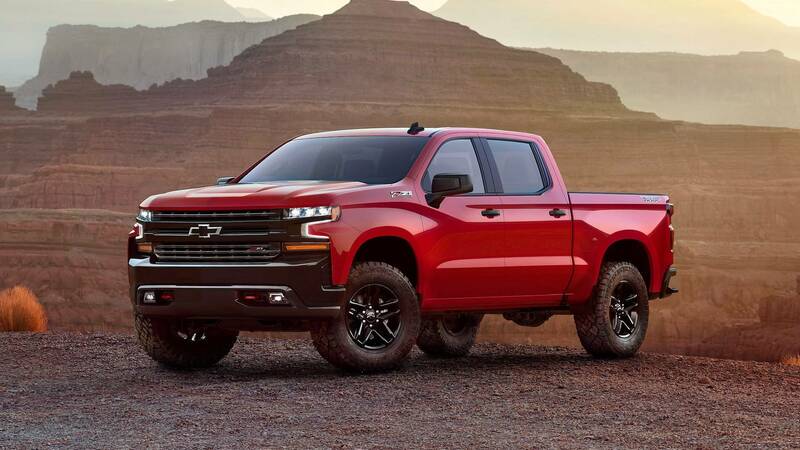 The new Silverado is highlighted by its “strong, modern” styling, says the automaker, particularly the front fascia, which sees a sculpted new grille and integrated LED headlights. Pictured here in the off-road-ready LT Trailboss trim, it’s one of eight upcoming versions of the truck. For this trim specifically, Chevy does away with most of the chrome detailing found on the outgoing model and substitutes in blacked-out trim. Those same blacked-out accents carry over to the wheels, which are also brand new for 2019, and in the rear. 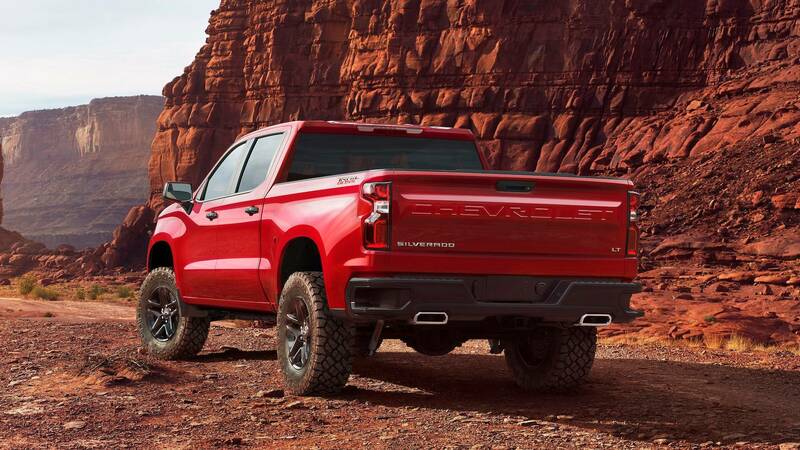 Out back the 2019 Silverado gains a new diffuser with dual exhaust tips and a stamped Chevrolet logo on the bed. 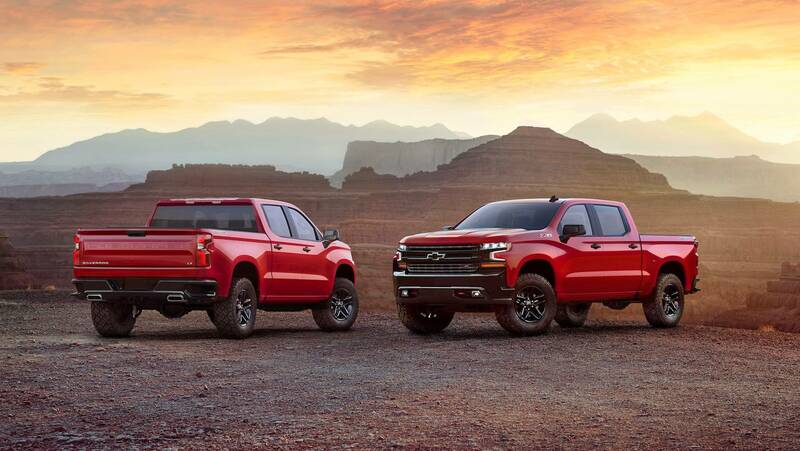 The Trailboss version also gains a handful of off-road equipment and a two-inch suspension lift.Alongside a new look, the Silverado is even more capable, too. The pickup uses higher-grade alloys in its construction, and high-tensile-strength steel in the bed floor. Not only do the new materials make the Silverado stronger, but the truck is also said to be lighter. Chevy has yet to give us an official curb weight, or details on the engine lineup. “It’s strong, it’s modern, but it’s instantly recognizable as a Chevy truck.” said Alan Batey, president of GM’s North American operations. The new Silverado will be shown in full in January at the Detroit Auto Show, where we should have all the juicy details surrounding the new pickup. The new BMW engine – “HP4” is a real monster!! !